The latest report on inventory of assets and property by the Receiver of the five banks merged into the Consolidated Bank Ghana Ltd. has shown that over GH¢5billion of loans advanced by the banks were given to cronies and related parties, often without following due process. The report shows that loans advanced by some of the banks had no documentation to back them and/or were authorised with just a simple email. Others did not have their collaterals perfected, meaning the banks have no legal right to seize and sell them to recover debts owed them. 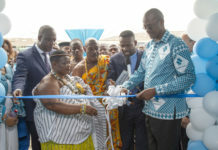 For example, in the case of Unibank, out of the GH¢4.5billion (gross) loans advanced, GH¢1.93billion was advanced to related and connected parties, out of which only 0.01 percent is considered performing, the report shows. 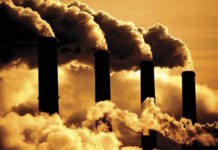 It adds that most of the significant number of facilities advanced to related and connected parties had incomplete or no loan origination documents. What is more, most of the facilities were solely approved by the executive, with approved amounts far exceeding the authorised limits. Again, only 6 percent of Unibank’s net (GH¢46million) related party [family, friends and other institutions related to the bank] loans had perfected collaterals, with market and forced sale values estimated at GH¢13million and GH¢10million respectively. What this means is that collaterals from related parties which were registered in Unibank’s name, and gives it the legal right to sell such a property in the event of default, are valued at GH¢23million – meaning the remaining GH¢22.5million has no collaterals backing it. When it comes to loans advanced to third parties, a total (gross) of GH¢2.6billion was disbursed; of which GH¢300 million is classified as performing or retrievable, meaning 88.5 percent of the total loans disbursed has to be written-off as bad or non-performing debt. In the case of Beige Bank, out of GH¢872million loans (gross) advanced, GH¢274million – representing 31 percent of total loans – was advanced to known related parties; GH¢206million to third parties (corporate); GH¢162million to third parties (SMEs); and GH¢230 million to third parties (individuals). 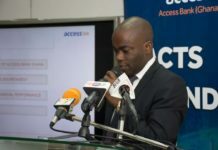 Also included in other assets of the bank are amounts totalling GH¢437million that had been advanced to shareholders, related and connected parties, with a substantial part of it assessed as irrecoverable. The report indicates that a number of loan files – estimated to be about 2,400 – could not be located; and many facilities were only supported by email instructions from the erstwhile executive, while some loans granted to related parties were also transferred to The Beige Group Limited after disbursements. 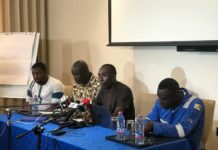 The report further states that as at August 1, 2018, GH¢174million of related party loans, representing 64 percent of loans due from related parties, had long gone past their final repayment dates. For Royal Bank, the report shows that a total GH¢1.14billion (gross) was advanced, with a net figure of GH¢200million. Out of this, the value of third-party loans (gross) was GH¢14.6million, of which 24 percent had the collaterals not registered in the name of the bank (not perfected). 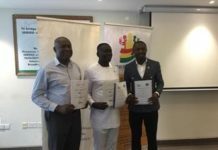 The Construction Bank also advanced loans to the tune of GH¢626,000 – which were all term loans given to nine employees of the bank for mortgage and personal purposes. Mortgages made up 63 percent while personal loans formed 37 percent of the loan book. It is only the Sovereign Bank that had no connected parties in its GH¢135million (gross) loans advanced to corporates and individuals. 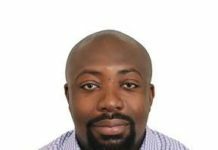 Is minority panicking over Ofori-Atta?